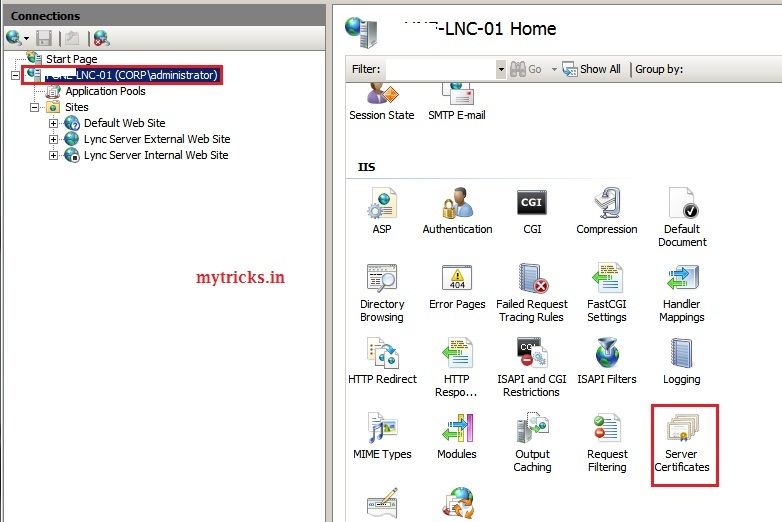 Recently I have deployed Edge Server so I thought to write guide on Installingtrusted certificate on Microsoft Lync External Web Services & Simple URL’s. The process is easy & straight forward. In my case I am using Godaddy UCC certificate with SAN. 3. After your Godaddy SSL certificate is issued, download your certificate and intermediate certificate files. 5. Type mmc, and then click OK.
6. The Microsoft Management Console window opens. In the Console window, click the File menu and select Add/Remove Snap-in. 7. Select Certificates, and then click Add. 8. 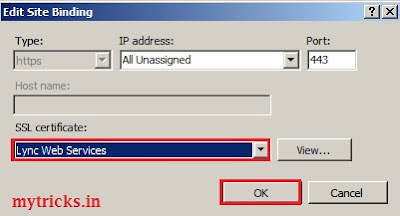 Select Computer Account, and then click Next. 9. Select Local Computer, and then click Finish. 10. In the Console window, expand the Certificates folder on the left. 11. Right-click Intermediate Certification Authorities, mouse-over All Tasks, then click Import. 12. In the Certificate Import Wizard, click Next. 13. Click Browse to find the intermediate certificate file. Change the file extension filter to PKCS #7 Certificates (*.spc;*.p7b), select the *_iis_intermediates.p7b file, and then click Open. 14. Click Next. Select Place all certificates in the following store. 15. Click Browse, select Intermediate Certification Authorities, and then click Next. Now we I have imported SSL certificate in Intermediate Certification Authorities. 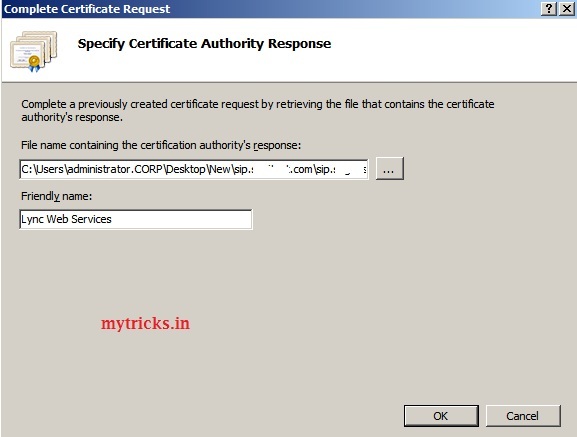 Now we need to complete thecertificate request from IIS. 2. 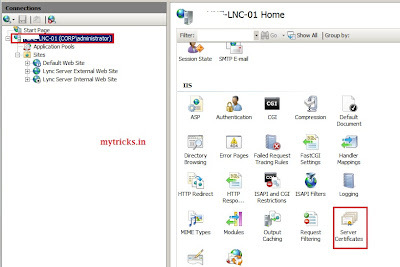 Click the server name on the left & double click on server certificates. 3. From the Actions panel on the right, click on Complete Certificate Request. 4. 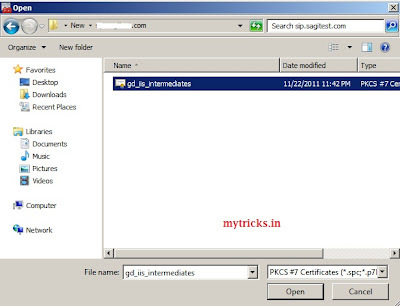 Enter the location for the certificate file. 5. Enter a Friendly name for the certificate file, and then click OK. In my case its Lync Web Services. 6. In the Internet Information Services Manager window, select the name of the server where you installed the certificate. 7. Under Sites, select the site to be secured with the SSL certificate. Select the SSL certificate you just installed, and then click OK.
11. Click Close to finish.